Aston Martin's new DB11 has helped boost sales at the brand. LONDON -- Aston Martin is testing whether investors think its financial prospects are as polished as the brand. The UK luxury automaker needs to refinance almost $600 million in debt coming due next year and is seeking to replace it with 530 million pounds in new dollar and sterling-denominated bonds. At stake is the next step of a revamp of the product range to revive sales and the company has burned cash every year since 2008, according to research firm CreditSights. Aston Martin has funded this with repeated capital raising, including a 200-million-pound issue of preference shares in 2015, and the debt it's seeking to replace -- 304 million pounds of secured notes issued in 2011 and a 2014 issue of payment-in-kind notes on which $219 million is outstanding. Money spent on what the company dubs its "Second Century Plan" in reference to its founding in London over 100 years ago, may soon be vindicated. 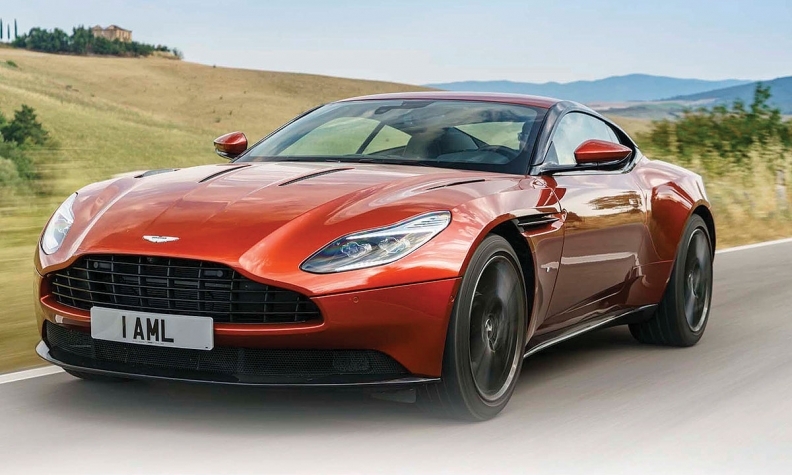 The flagship of its new range, the new DB11 model released late last year, powered much of a 48 percent rise in fourth-quarter sales, the company said last month in its earnings statement for 2016. "It's an inflection point after a period of major cash burn," said Brian Studioso, an analyst at CreditSights in London. "They invested all the new capital to replace their entire portfolio at one go, something that is not sustainable but that they had to do because it had become so stale." The company now plans to add one or two new models every year for seven years. It has pledged to venture beyond its staple offering of luxury sports cars such as the Vanquish, which has a top speed of 324 kph (201 mph). A new factory in Wales will produce the DBX, an SUV it says will be "practical and family friendly," rather than merely luxurious and fast. Aston Martin also expects to start production of an electric version of its Rapide sports coupe next year. The deal coincides with buoyant demand from investors for bonds in Europe's high-yield market, which has driven issuance to 12 billion euros this month compared with 5.6 billion euros a year ago, according to data compiled by Bloomberg. The number of deals jumped to 27 from nine. Moody's Investors Service has raised its outlook on the company's rating to "positive" from "stable" on the basis that the new bonds "should be sufficient to cover Aston Martin's anticipated cash needs for more than the next 18 months." S&P Global Ratings said earlier this month that the company may become cash generative and turn a profit within two years as it affirmed the company's high-yield B- rating. It also said the company "still has some way to go to sufficiently demonstrate the rebuilding of its business and operating performance." A successful issue of new notes will ensure the turnaround remains on track. It will also be less costly on an ongoing basis -- the new notes are being offered with interest of 6.75 percent on the dollar tranche and 6 percent on the sterling bonds, compared with the maturing 9.25 percent bonds and 10.25 percent PIK. JP Morgan, Deutsche Bank and Goldman Sachs are running the bond sale.